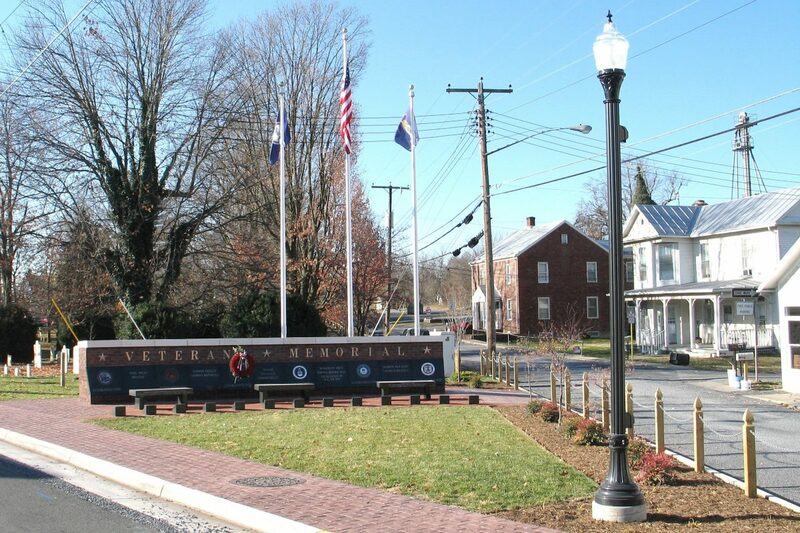 Veteran’s Memorial Park – Miller Cupp Associates, Architects, P.C. At one time, the town municipal building occupied this tiny triangular tract of property in the middle of Mt. Jackson. 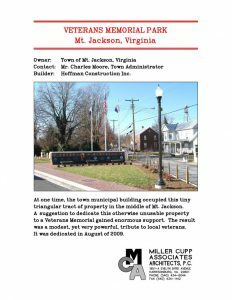 A suggestion to dedicate this otherwise unusable property to a Veterans Memorial gained enormous support. The result was a modest, yet very powerful, tribute to local veterans. It was dedicated in August of 2009.